Kesha Dirkson was excited about buying the one-bedroom, live-work unit she was renting in Downtown’s Newport Lofts. From her balcony, the public relations executive can see the mountains and the Strip, and she loves being part of the neighborhood’s rapid evolution. The likely price — somewhere in the mid-$200,000s — was within her budget, and her landlords were open to selling. Then Dirkson started running some numbers, including adding the monthly homeowners association fee — a whopping $588. “It’s cheaper for me to rent it than it is for me to purchase it,” she says she realized. For now, she’s continuing to rent while she assesses her options. Las Vegas’ gleaming high-rise buildings offer spectacular views and luxurious amenities — at a fraction of the price that buyers would pay for similar condominiums in coastal cities like New York and San Francisco. But the staggering cost of HOA fees can give buyers pause, sometimes causing otherwise desirable units to linger on the market. “You’re literally paying two mortgages,” said Scott Beaudry, president of the Greater Las Vegas Association of Realtors. High-rise sales in the Las Vegas metro area have recovered in line with the overall residential housing market, said Beaudry: High-rise units priced at $200,000 or more in 2015 sold for an average of 97 percent of list price, with 42 days on the market. 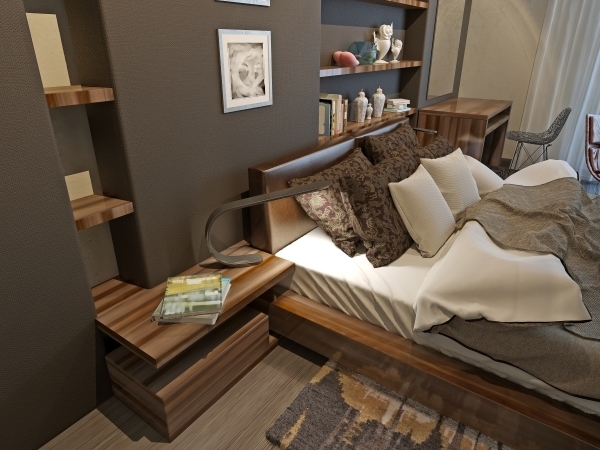 The median price of such units sold in January was $376,000. Yet high HOA fees can scare off buyers at the lower end of the luxury market, said Kevin Ho, a high-rise specialist with Wardley Real Estate. “There’s a lot of inventory out there. With the salaries the way they are in Vegas, the people who could afford something like this aren’t going to be the young people working on the Strip. A lot of those people are renting them, but very few can own them. Those who can afford it are probably going to buy a big house in the suburbs. Looking to buy a high-rise unit in the valley? Be prepared to spend between $500 and $2,000 per month on HOA dues, depending on the size and location of your unit. Of course, those fees come with perks. A homeowner at Veer Towers, for example, would pay $498 per month in HOA dues on a 500-square-foot studio, in exchange for the use of a rooftop infinity pool, free valet parking, a full-time concierge and a gym and media room. Residents at the Mandarin Oriental, where HOA fees can top $1,800 per month for a two-bedroom, enjoy 24-hour room service and one complimentary cabana per year, among other fringe benefits. Denizens of Turnberry Towers (HOA fees: $934 per month for a two-bedroom with den) can practice their skills on private tennis courts and putting greens, while downtown’s Soho Lofts ($585 a month for all units except penthouses) offers a sauna and dry cleaning services. Some HOAs assess fees based on a unit’s square footage, while others set flat fees for certain categories of the unit. Then there’s the off-Strip Shangri-La of One Queensridge Place, where well-heeled homeowners store their wine in private cellars, and some garages come with attached apartments for live-in chauffeurs. There, all homeowners except those in penthouses pay $1,957 per month in HOA fees, said Maria Picornell, assistant to the general manager at the development. “You get more value for the price,” said Pircornell, who also touted the buildings’ free continental breakfast, guest casitas, two saltwater pools and Pilates studio with reformer machines. “Our smallest unit is 2,200 square feet, and they go up to 5,000 and even 15,000 square feet, so when you divide how much they pay (by that), they get a bargain for their HOA fees. Residents who love the high-rise lifestyle are quick to point out that homeowners themselves call the shots when setting HOA fees. Green says he and his wife happily pay $848 per month in HOA dues, plus a reserve fee of $134, for the view, enhanced security and their favorite amenity — the jacuzzi. One fixed cost all high-rise buildings must contend with is fire prevention, with stricter measures required by law for structures of a certain height. Missed HOA payments from homeowners who bought at the height of the market and are underwater on their units can also jack up the fees for everyone. Those costs might not deter high-rollers who can toss money at whichever penthouse strikes their fancy. But they could turn off the young professionals who have been driving urban revival in other parts of the country. At Downtown’s Ogden, which sits at the heart of the rapidly changing East Fremont district, the tenant mix quickly began changing once the building’s new owner, DK Las Vegas, started converting units from rentals to condominiums in 2014. Gone were many of the millennials who’d been drawn to the area by Zappos CEO Tony Hsieh’s freewheeling redevelopment effort, the Downtown Project. 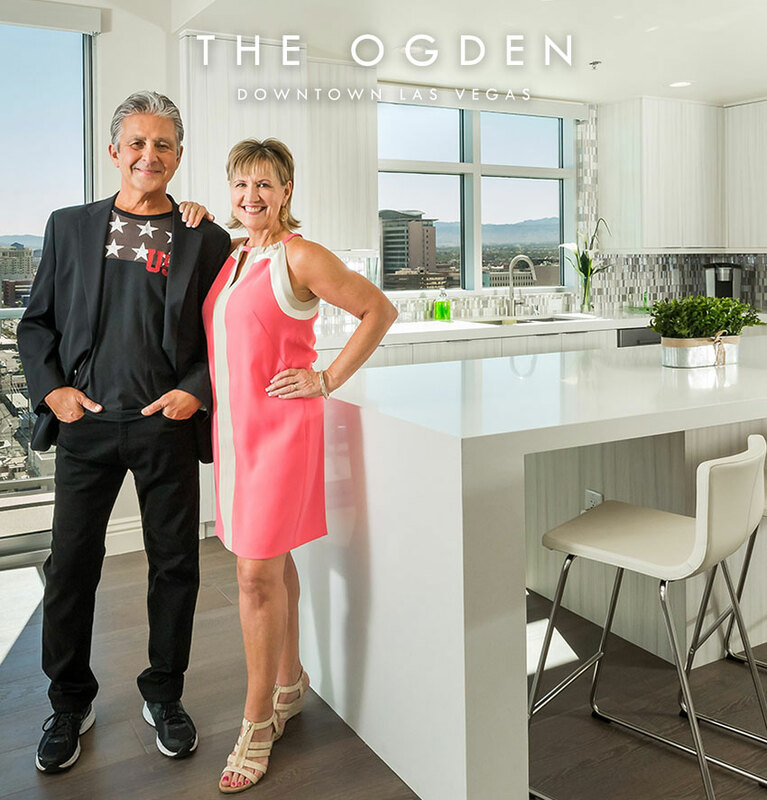 One of those empty-nesters is Annette Shaver, a veterinarian who along with her husband, Greg, packed up the custom northwest Las Vegas home the two had shared for 22 years and relocated to a 1,500-square-foot, two-bedroom condo in The Ogden. “We still have a pool, spa, a rooftop terrace that has a grill, so I get that backyard feel if I want it, but I don’t have to worry about maintaining it. We were paying for lawn service and pool service, so in the long run we’ll probably save money, to be honest,” Shaver said.